Notes: Another great fun day out at Disney. This time Epcot. The “Bucky ball” in the middle was designed by Richard Buckminster Fuller. It certainly stands out especially when lit up after dark. 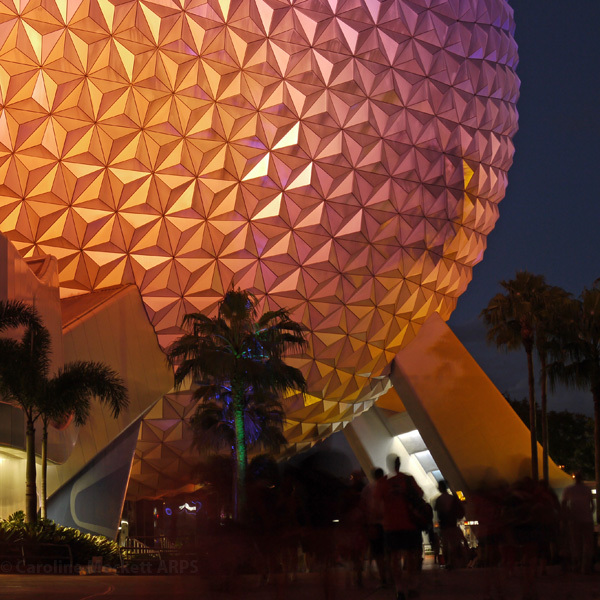 See more pictures from Epcot.